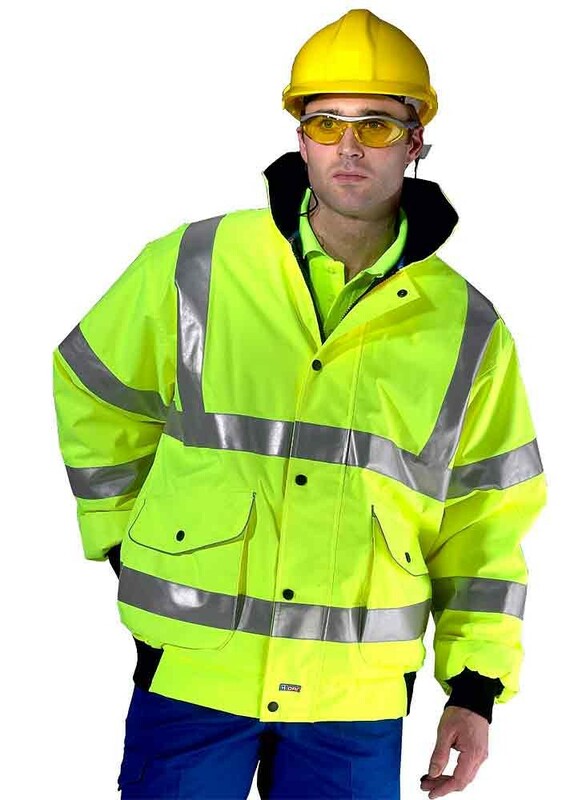 A deluxe hi-viz bomber jacket ideal for most weathers. 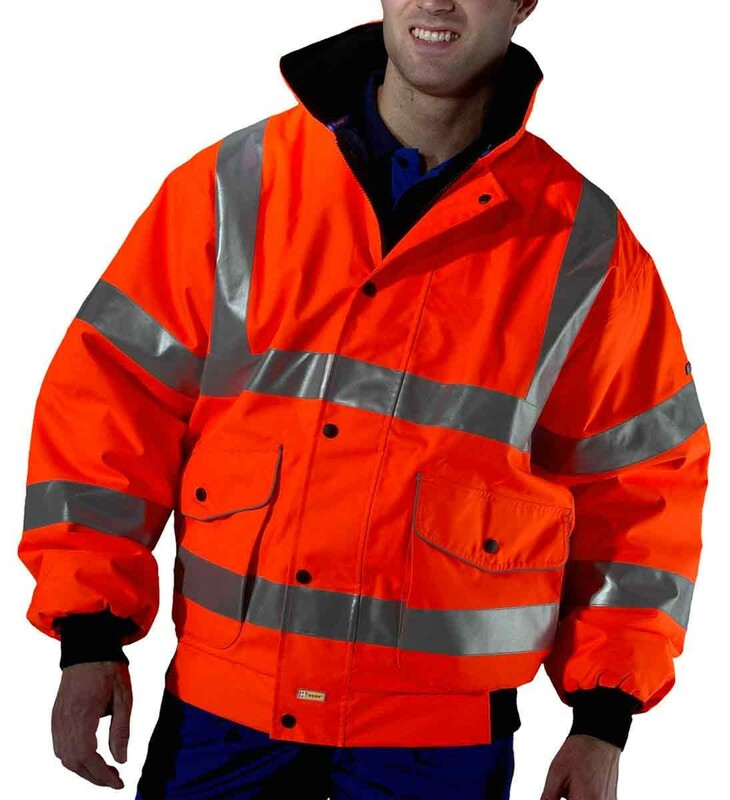 The B-Seen BD71 / BD75 Super Bomber Jacket meets regulations EN471 Class 3 (GO/RT 3279 in orange). Heavyweight 100% polyester with PU coating. 300 Denier outer fabric with sewn on tape. Quilted lining with polyester filling. Two-way heavy duty zip front with storm flap. Fleece lined collar. 2 lower bellows pockets with flaps. Security and phone pockets. Knitted storm cuffs. Fully taped seams. Reflective Material. Fantastic bomber jacket really comfortable with knitted cuffs,had our last B-seen bomber jackets seven years,can't get better quality than that,thats why we bought the same jackets again really hard wearing.